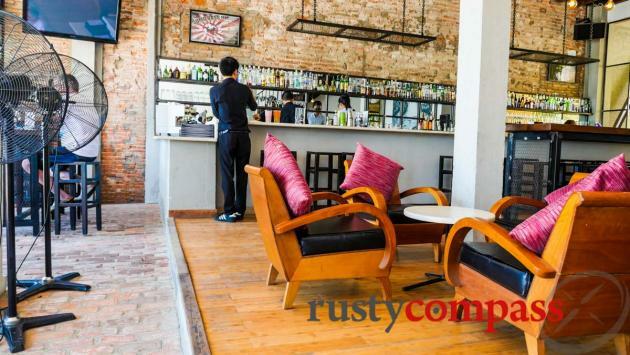 An independent selection of the best eateries from fine dining to street food in Danang, from Rusty Compass. No paid endorsements. Danang’s always been a good place to eat local food. 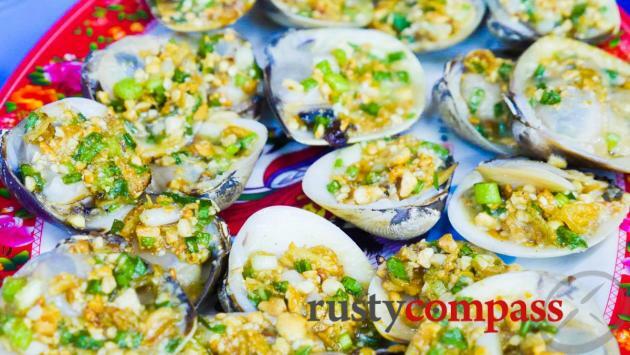 The rich seafood bounty from Vietnam’s long coastline, combined with access to local farming, means good and inexpensive Vietnamese cuisine abounds. With tourists suddenly hitting the city in big numbers, the restaurant scene is also taking off - new international and local dining options are opening constantly. There are some cool little cafes too. Danang is suddenly a player in Vietnam’s lively culinary scene. 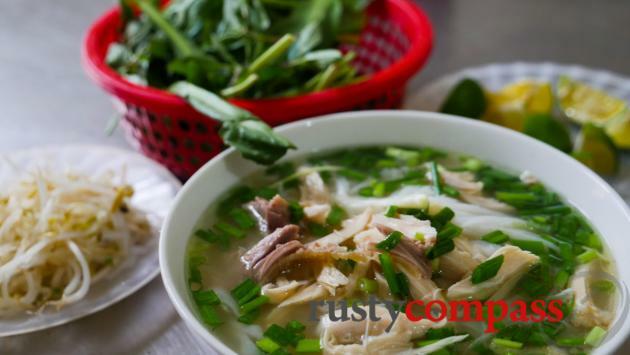 Here are our picks of the best places to eat in Danang. Scroll down for our favourite cafes. 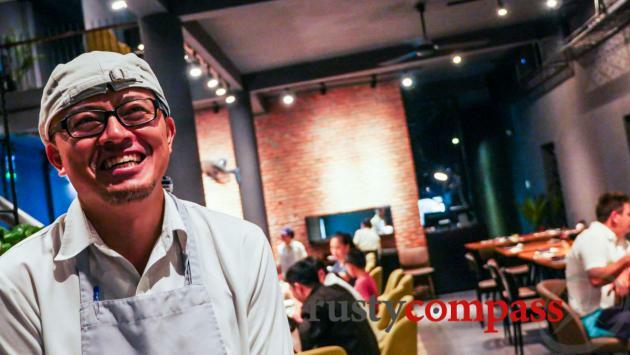 If you’re looking for some innovative modern cuisine, chef Duc Tran, who made his name in Hoi An at Mango Rooms and Mango Mango, has opened Fatfish on the eastern bank of the river. This is a special Danang experience in food and atmosphere - especially if you missed Duc’s work in Hoi An. The riverfront on Bach Dang St Danang has quite a few resto-bar style eateries. The most popular is Waterfront, owned by long time Hoi An and Danang resident, Australian Nick Hatton. Waterfront serves quality pub-style food in a friendly, airy environment. It also doubles up as a popular bar with regular DJs and live music. Laid-back little ramen noodles joint on Hoang Van Thu St. Imano the owner throws out the welcome mat. Popular with Danang expats. 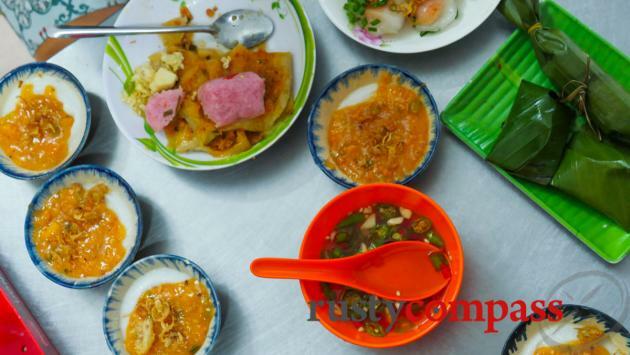 Bun Cha Ca is a Danang specialty and Ba Phien’s is one of the best-loved places serving it. 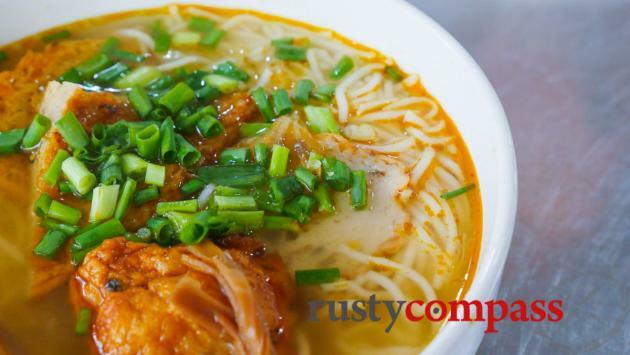 Bun Cha Ca consists of bun noodles, a delicious fish cake, with herbs and tasty vegetable infused broth - not to be confused with bun cha or cha ca served in Hanoi. There’s only one dish on the menu from memory so ordering is straightforward. Luna is a buzzing Italian restaurant and bar back off the river in downtown Danang. 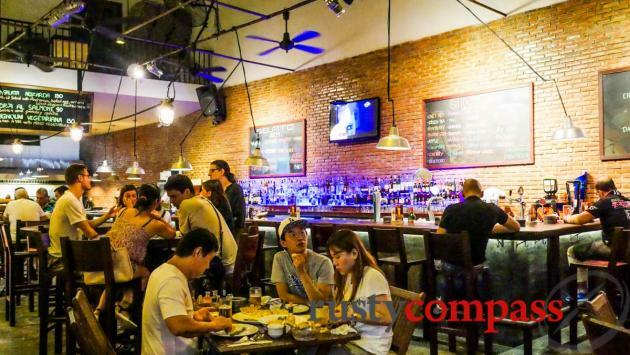 It's a favourite with the expat community and more locals are discovering the place too. 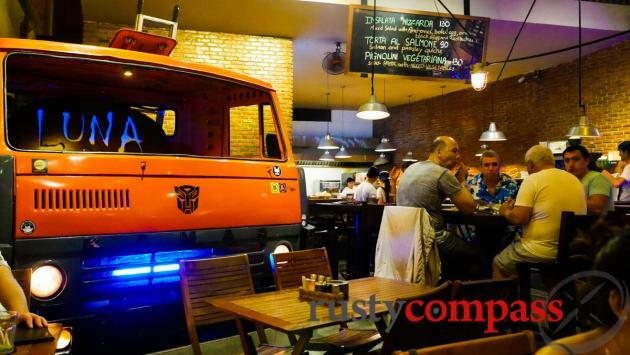 The food's good, the ambience is friendly and lively. Luna also regularly hosts live music. Most of Danang's local cuisine experiences are very local - which is great. If you're feel like something with a little more atmosphere, you might like to try Madame Lan's in a nicely done recreation of a colonial building. It's a tourist favourite with indoor and outdoor dining right by the river.The food's good. Staff seemed a tad unaccustomed to dealing with customers. But definitely worth a try. These guys serve Northern style pho in the centre of town. Owned by a husband and wife team from Nam Dinh outside Hanoi, they’re friendly hosts and the pho’s good. Swing bowl for a bowl. A slightly upmarket take on the local barbecue eatery in central Danang serving ribs, grilled chicken, seafood and loads more. Perfect for dinner and a few beers. Great buzz, open feel friendly staff. Proper burgers in a cute and welcoming little spot in downtown Danang. From memory, the French colonial era building was once a police lockup. You wouldn’t know it now. It’s a charmer. Tram, the boss, is a Danang local and an old friend. Say hi. Vietnam’s most famous pizza - a Japanese reinterpretation - has arrived in Danang. Pizza 4P’s became a cult in Saigon before heading north to Hanoi. The move to Danang was inevitable. Danang’s embrace of Pizza 4P’s looked a little less frenzied than Saigon’s on our visits - which may make it a good place to try the Pizza 4P’s experience. Apart from some cracking pizzas, these guys also serve pastas, salads and craft beers. My Danang native friend assured me that this is a Danang eatery - but the dishes looked much more like those we’ve come to know and love in Hue - banh beo, banh nam, banh uot and so on. The owners are from Hue too - but they’ve been in Danang since the Tet Offensive of 1968. This is a great place to try Hue cuisine that’s taken on some Danang character. The Espresso Station concept was pioneered in Hoi An and quickly become one of the old town’s most popular coffee stops. 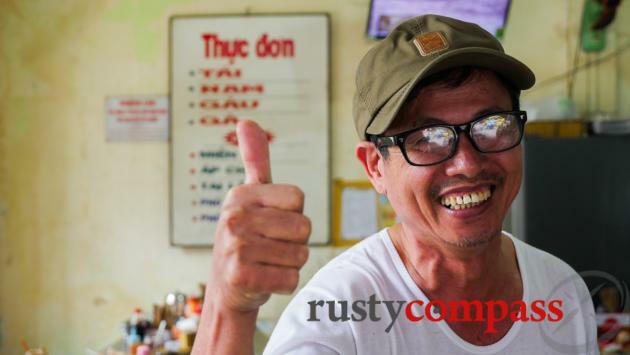 Owner Trung set up down an alley in central Danang in 2018. Cool space, friendly staff and great coffee. It’s located across the road from the Danang cathedral. Address: Espresso Station Danang, 4 Tran Phu, Hai Chau, Danang - in the alley opposite the main church. Photo: Mark Bowyer Espresso Station Coffee, Danang. One of the most popular local coffee shops in town, Cafe DenDa has outlets across the country. They served local coffee and espresso. Located in an old warehouse-style space, it’s busy with young locals. Comfortable spot for a coffee, a chat and some people-watching in the centre of town. 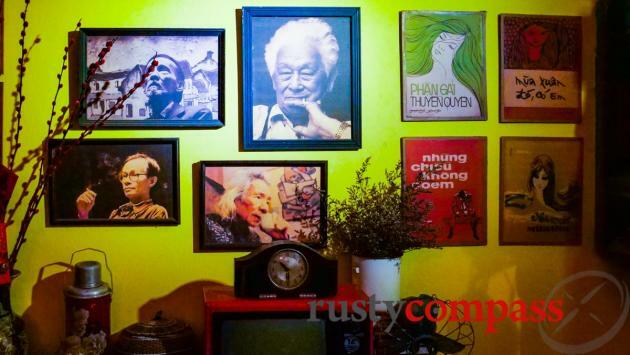 Vietnam’s retro cafe craze has arrived in Danang. Nam House sprawls over two floors littered with old reel to reel recorders, radios and other old junk with old black and white pics hanging on the walls. Good place to hang out with a young local crowd over a Vietnamese coffee. Address: 15/1 Le Hong Phong, Phuoc Ninh, Hai Chau, Danang - down the lane. This may be the best combination of cafe food, coffee and ambience we’ve found in Danang. Staff are great. 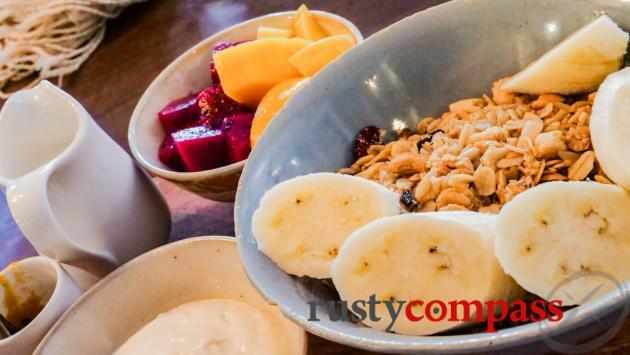 Six on Six serves a concise menu of breakfast and lunch dishes like homemade granola, scrambled eggs and asparagus, falafel, BLT and more. They take their coffee seriously too - whether you want Vietnamese style or espresso style. There’s indoor and outdoor dining. Six on Six is also plastic free. It’s located in the My An expat area not far from the beach. This fancy coffee specialist looks like a cashed up global chain - but it’s a local creation, locally designed. Not sure whether they have global ambitions. Factory 43 is a departure from my preferred cosy little coffees stops. But the coffee’s good, and all the bells and whistles of a serious coffee specialist are on offer. Staff are friendly and helpful. Selfie obsessed locals love the place too. Rusty Compass recommendations are always independent. We list the places we think you should know about. That's it. We've paid our way at all the places listed here and no inducement of any kind was received for a listing.